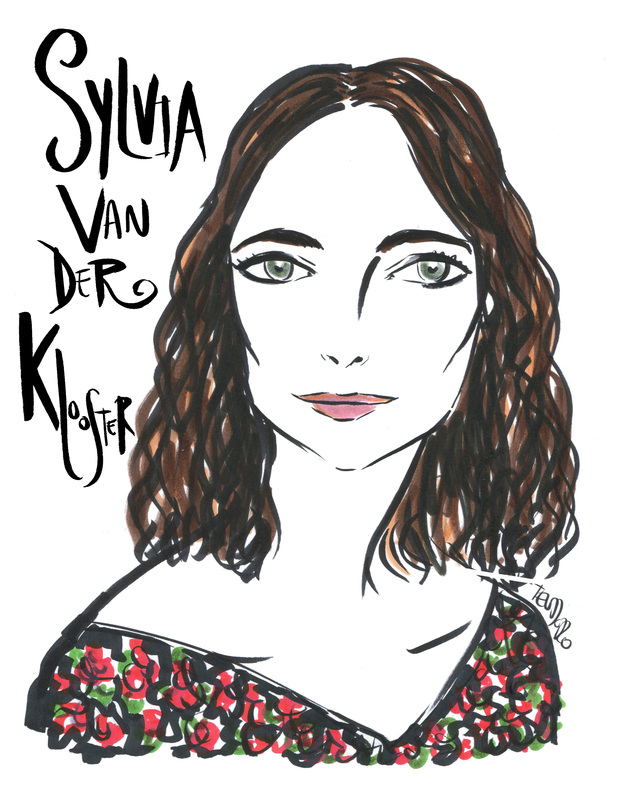 Sylvia Van Der Klooster’s presence has endured in the fashion industry for two decades. The classic beauty could be seen in campaigns for Donna Karan and Versace and was a favorite of designers Galliano and Dries Van Noten. Proving that nice girls don’t finish last, Sylvia was recruited to walk in Dries Van Noten’s 100th show. I recently caught up with her by email. Tell us about your childhood growing up in Holland. I grew up in Dalfsen, a very small village, to the east of Holland. I had a nice and safe upbringing, and my parents were very down to earth. I was surrounded by forests, which later in life I realized kept me grounded. Around the time I was 12 years old I knew that I wanted to explore the world and the little village I lived in was way too small for me in every way. I was discovered in Vancouver, Canada when I was 16 years old and visiting family. A few scouts approached me, but I didn’t do anything about it until I was 19. I then sent some photos to an agency in Amsterdam to see if I could model. My main reason for trying to model was so that I could leave the small village where I grew up. I think within 6 months I booked my first job, on my 20th birthday, for Prada. Then things happened fast. You’ve been a mainstay in the industry for almost 20 years. How has the industry changed? I sometimes miss the romance, the authenticity, and the creativity, but maybe I am just nostalgic. I used to walk for Galliano, when he designed for Dior, and he always made us act on the runway. That was really fun—scary—but a lot of fun. You also had Polaroids to look at before the film developed. There was still some mystery, but then again, anything seems possible now. I work a lot now that I’m 40 and doing jobs that in my early days weren’t available for that age group. The industry got faster, Instagram “likes” matter now, and the urge to find new faces became more and more important. Tell us about your relationship with Dries and how it began. 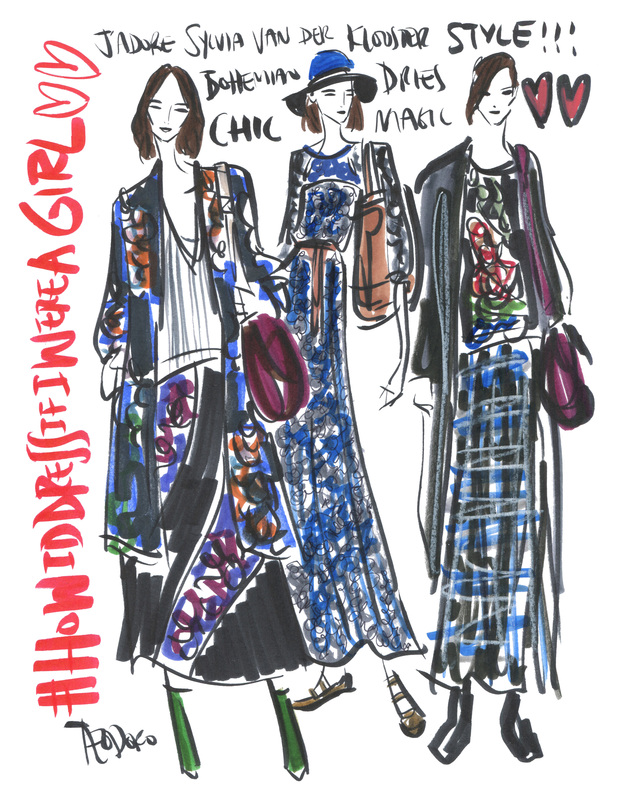 I first walked for Dries in the late 90s. It was my favorite show back then and 5 years ago I started doing fittings for him in his Antwerp showroom. It was just such an honor. It doesn’t feel like work at all. I am such a big fan of him—his way of thinking, talking, and his approach to life. The whole company and everyone who works there are so humble and kind. It’s what makes me so passionate about clothing and fashion, and it’s a privilege to be a part of it. How did you feel when you were asked to walk in his 100th runway show? I was very honored to be a part of it. It was so nice to see so many of the girls again after 15 years or so. My best friend from back then, Liisa Winker, brought her beautiful daughter, and all the Belgium girls I used to hang out with were there. It was so lovely to see all the beautiful women they became. It was magic and it made me so grateful to be a part of it to celebrate Dries and his 100th show. Tell us about the genesis of your bag design and how you describe your aesthetic. I started making my bags 6 years ago. In between modeling I custom make them by hand and design them as well. I like to create things, and shapes and textiles interest me very much. My bags are made to become more beautiful with age. I try to be as ecological as possible and use sustainable resources such as vegetable tanned leather which is sometimes hard with certain colors. They tend to be classic bags and I am so glad so many people like them. What influenced your decision to stay in Holland when a lot of models moved to New York City? I used to live in New York, but never for long periods of time. I came and went as needed, as I saw modeling as an in-between job back then. I started out as a very shy country girl in the big city, who skipped all the parties and would rather read books in my hotel. I like quiet and down-to-earth people so Amsterdam is the perfect match. With all the traveling and wanderlust over the past 20 years, I could live somewhere else but, for now, Amsterdam is home. For the last 13 years, it has made me super happy. I don’t know. I have this strange obsession with KLM. I have loved everything about that airline for as long as I have been traveling. I collect the houses you get on business class flights, and anything with their logo on it makes me weirdly happy. High on my bucketlist is to sit in the cockpit of a KLM Boeing for a landing at Schiphol. I hope a senior KLM flight attendant is reading this. Let us know when and where you fly and who knows?? Hi Ingrid, please email me at theculturalomnivore@gmail.com and I can connect you with Sylvia. Let’s make her dream a reality!